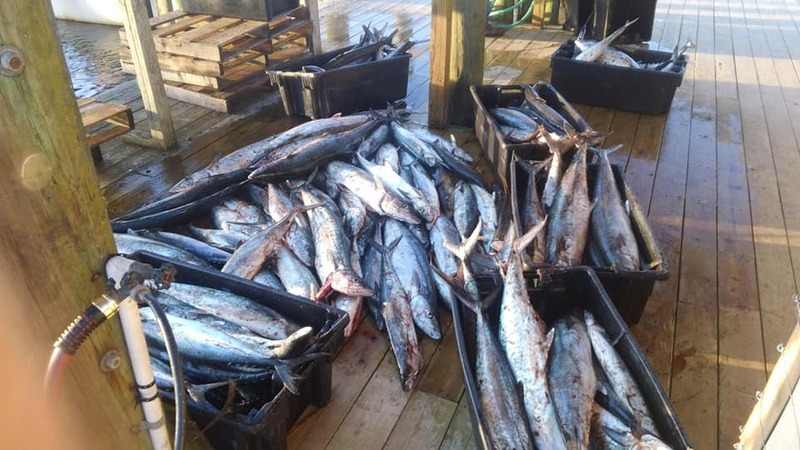 Author oakislandfishingchartersPosted on February 19, 2019 February 19, 2019 Categories UncategorizedLeave a comment on 2019 Oak Island Fishing Charters Season. Sorry for the delayed fishing report since the hurricane but the fishing has been good. We have had to battle very unstable weather the last couple months but in between the heavy wind days we have been able to put our clients on some really good fishing. Backwater action mainly consists of Black Drum and Red Drum. Nearshore trips got to experience Big Red Drum and King Mackerel. Offshore is still the same “easy” to catch fish we just need the wind to lay down. What to expect over the next couple months. Backwater fishing should stay steady with Black Drum and start to see the Trout pick up. Offshore trips will see excellent Grouper, Wahoo, King Mackerel and Lots of bottom fish so get your group together and lets fill the freezer for the winter. We have been very blessed over the last month with very nice weather and solid fishing. Offshore has seen the grouper bite very steady with seabass, snappers and trigger fish to finish filling the cooler. 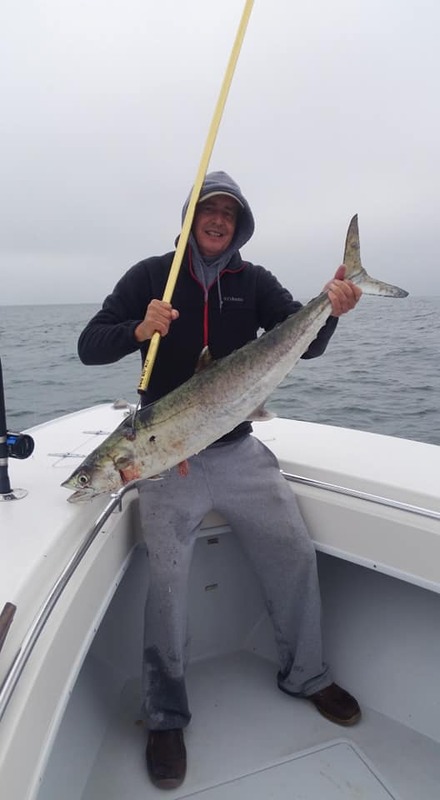 Nearshore trips have been catching lots of king mackerel and spanish mackerel just a few miles off the beach. The backwater trips have been hot also catching red drum and flounder in the creeks behing Bald Head Island. Also the flounder bite in the ocean has been about as good as it can get. We still have days open each week between all the boats so come join the fun. Be sure to follow us on Facebook with daily reports. I will keep this short and simple. The fishing is wide open right now and we have been catching just about everything. Offshore full day trips have been producing lots of Grouper, Trigger Fish, Black Seabass. Nearshore half day trips have been steady with Big Spanish Mackerel, King Mackerel, Cobia and larger Sharks. Backwater Red Drum action has been steady and the Flounder have finally showed up. Follow us on Facebook for more up to date fishing reports. As usual the weather this time of year is very predictable “rough” most days. Being flexible has helped us capitalize on the few good days and put some fish in the boat. 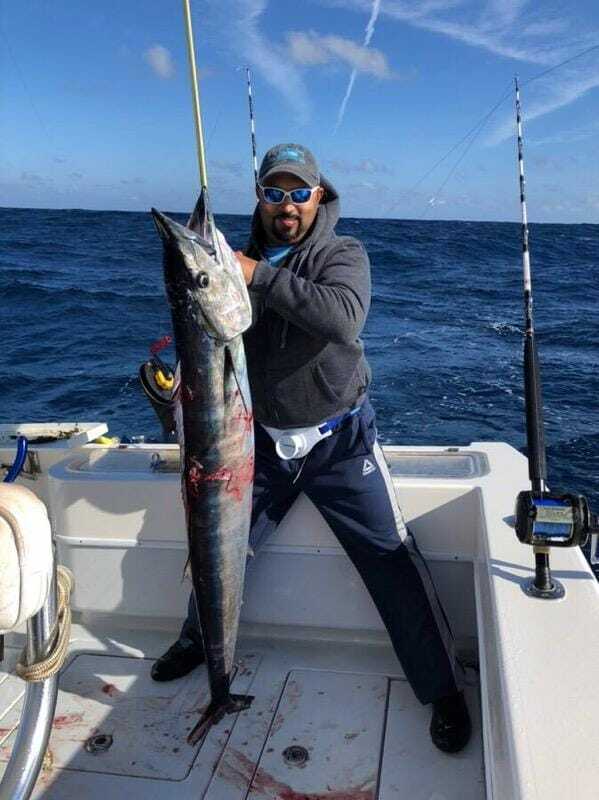 In Gulfstream the Wahoo and Blackfin Tuna has been steady and shoud provide good action till the Mahi show up in May. 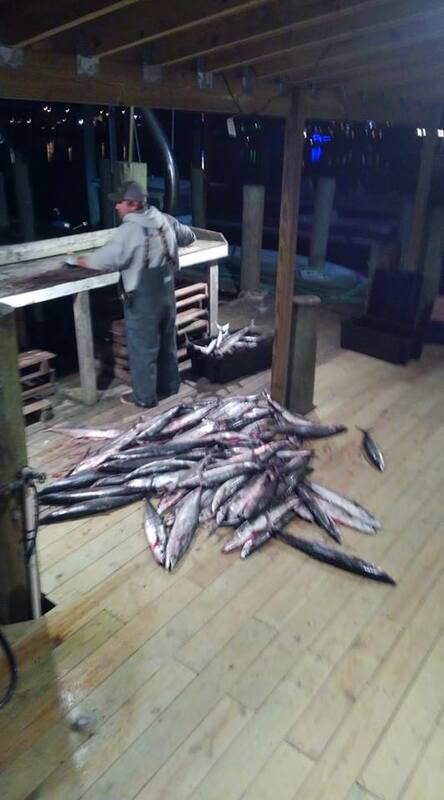 Closer in the winter King Mackerel fisheries is very good and we will replace this trip with Grouper May 1st. Backwater fishing has started off slow for us but we have been busy catching whiting in the river. Whiting is not the biggest or most popular game fish in the backwater but they make up their status on the dinner table and big numbers you can catch. Since Nov the weather has not been very favorable for fishing due to lots of wind but we did have enough days to show that the fishing is really good when the weather is nice. Backwater fishing was steady catching black drum and the offshore fishing produced lots of King Mackerel and really good Grouper fishing. Speaking of Grouper fishing the season closes Dec 31 and reopens May 1st so now is the time to start planing your offshore adventures with Oak Island Fishing Charters. When we say grouper fishing that does not mean go bottom fishing and catch a grouper here and there. We target and catch grouper while catching other bottom fish. If you want to just go bottom fishing then we will go that route also and either way you will have fun. Easter is earlier in 2018 so get your dates ready to join Capt Travis in the creeks for some drum action or lets take a ride offshore. Happy New Year and looking forward to 2018 fishing season.